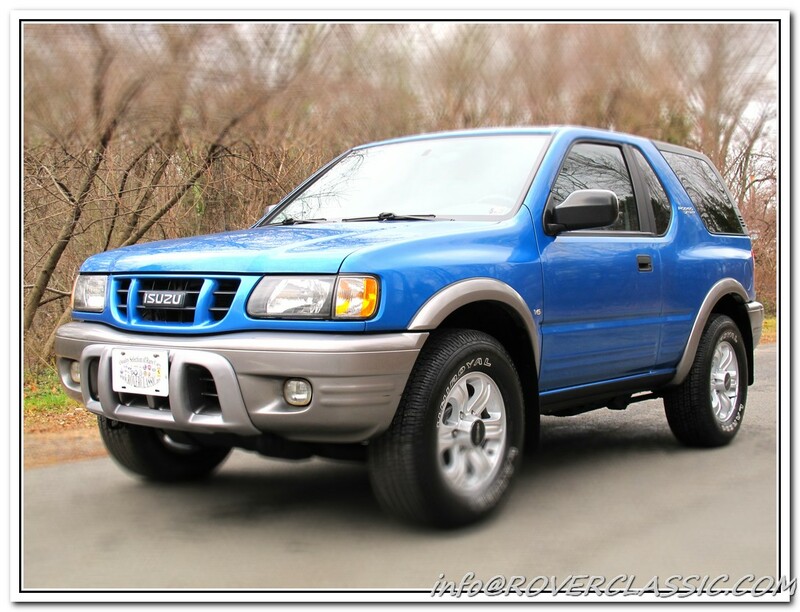 2001 ISUZU RODEO SPORT S 4WD ... 60,082 Original Miles Engine : 6 Cyl, 3.2L Transmission : Auto Exterior : Blue Interior : Gray Body Style : SUV Vin : 4S2CM57WX14314648 This SUV has Automatic Transmission, Power Brakes, Air bag, Fog lights, Power windows, Power door locks, Power mirrors, CD Changer / AM / FM, Cruise control, Sunroof and Air Conditioning. Tires have at least 95 % thread left. The paint looks original with absolutely no rust anywhere on the car. Our mechanics performed full service on this beauty changed oils and filters.